On Day 3 of NYFW my feet needed a break: with that, I went for a super sporty comfortable look. I had one show during the day, at the Dream Downtown venue, and then a few shows at the Pier from Style Fashion Week at night. I'll be recapping those on the next post with a different look to share with you guys. 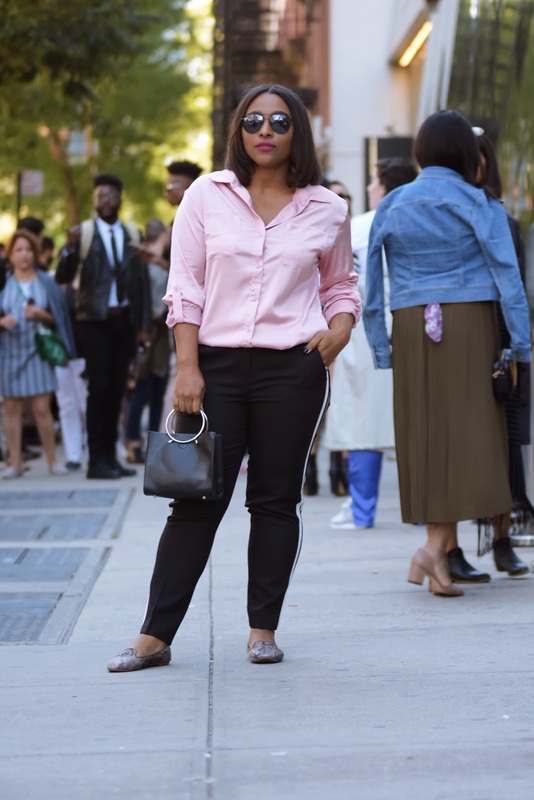 I received these side-striped pants from Shop Tobi right before I left and totally had these styled a completely different way but my feet needed a break so these printed flats came to the rescue! They looked like a mix of tuxedo and Adidas pants. I really love them! I paired with a pink satin top, which is actually a shirt dress that fits me too short as a dress but too long as a top. Somehow I managed to tuck it in and make it look like a normal length top. In the end, this sporty look ended up being my favorite. Runa Ray is an amazing Indian designer that showcased her incredible spring/summer 2018 collection. The fabric and the styles were so feminine and definitely had a little touch of her heritage. The collection included pieces for both men and women. 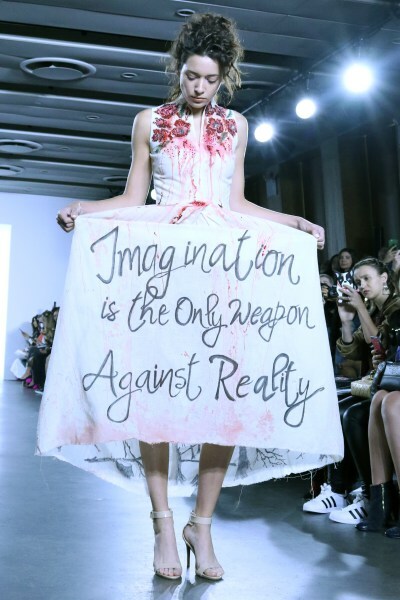 She made a statement with the last piece down the runway that read "Imagination is the only weapon against reality". Aren't these designs so pretty?! Please come back to my Kloset and tell me which one was your favorite! Wow you went to New York fashion week. You outfit was on point!